Check out PC TALK Research in Action! Walker, D., Harjusola-Webb, S., Small, C., Bigelow, K., & Kirk, S.M. (2005). Forming research partnerships to promote communication of infants and young children in child care. 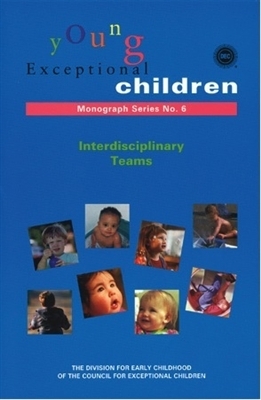 Young Exceptional Children Monograph Series,6, 69 – 81. This monograph article describes a model for a research partnership between researchers and early childhood educators in community-based child care and early education programs designed to increase the use of evidence-based strategies for promoting communication of infants and toddlers. Through a team approach that includes close collaboration and consultation, professional development activities are linked to program, teacher, child and family needs, and to progress toward communication outcomes. Walker, D. Bigelow, K. Harjusola-Webb, S. (2008). Increasing communication and language-learning opportunities for infants and toddlers. Young Exceptional Children Monograph Series #10, 105-121. This monograph article describes eight functional, evidence-based strategies that may be used by early childhood educators, interventionists, and parents to provide infants and toddlers with language-learning opportunities across their daily routines and activities. 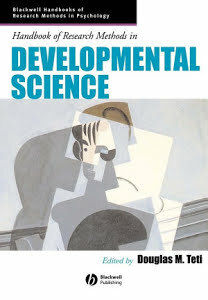 In this chapter, we describe the framework of a developmental model of communication and language intervention that is emerging in the research literature. Second, we discuss in more depth two promising areas of early intervention research: fostering prelinguistic communication development in very young children with developmental delays and fostering language development in young children developmentally at-risk due to impoverished environments. We conclude with a discussion of future research directions. Walker, D. & Bigelow, K. (2012, Winter). Building the Capacity to Support Children’s Language Learning through Naturalistic Communication Strategies. 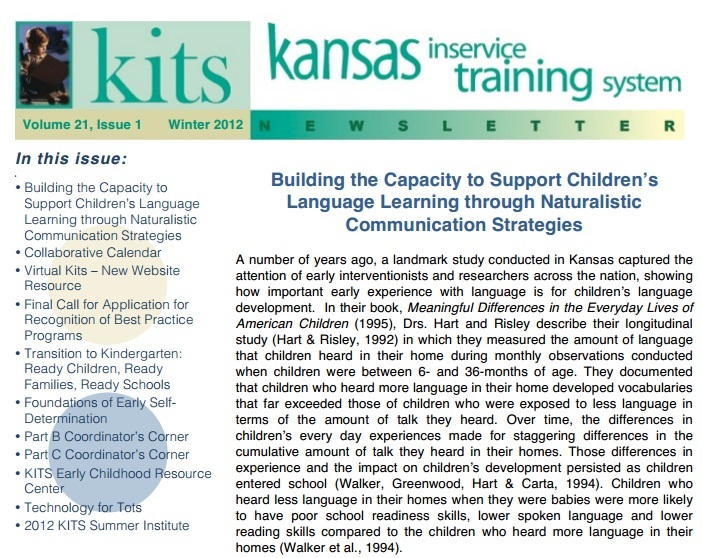 KITS Kansas Inservice Training Service Newsletter, 21, (1).